how have i been going on and on about how the daily mail is super weird on macaulay culkin and how george clooney’s engagement was handled so different from jennifer aniston’s and mulling writing something about how cressida bonas is papped looking sad every day… how have i been so focused on those trifles that i was blind to the freaking diamond that is keanu reeves, who is ALL OF THESE THINGS?!?!?!? 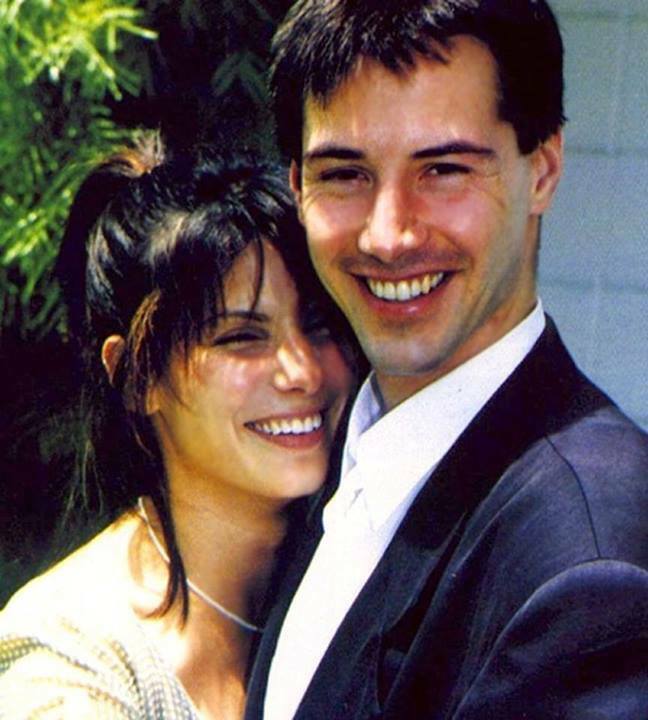 ok, so, of the out-pouring of internet love that followed these pictures then the guardian wrote that “We want to protect Keanu because we can tell he’s good. Most excellent, even.” i do not know that i’ma buy that, but it is provocative. 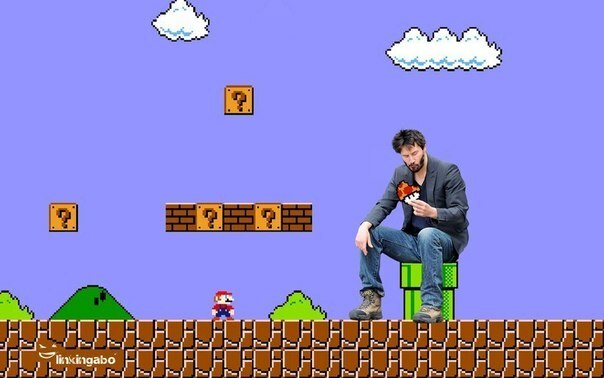 sad keanu, that is. the fact that such a thing could catch on. 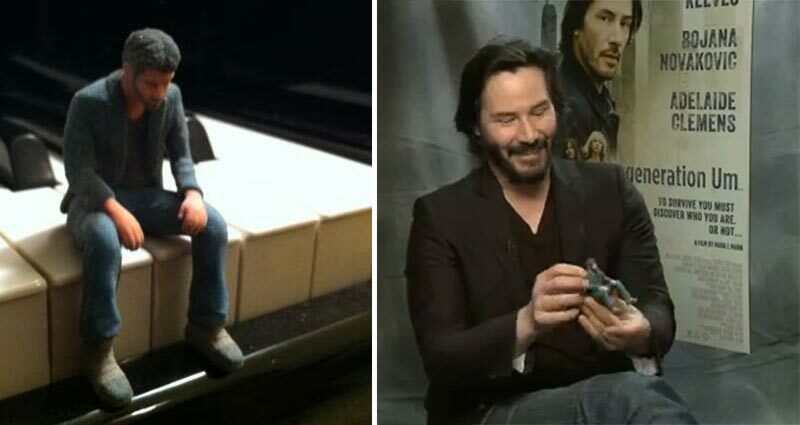 there was even merch that was given to the real keanu. fyi, it made him happy. this has actually happened a number of times. most recently, here. in- you guessed it!- the daily mail. 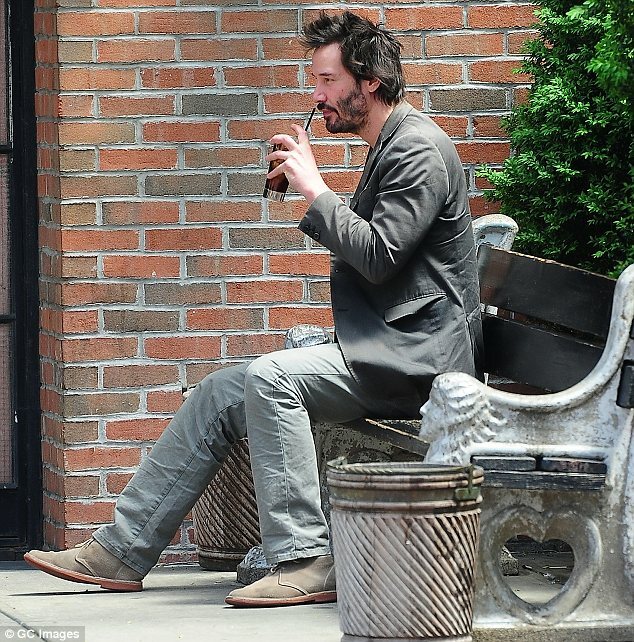 and so any time reeves is alone outdoors, eating, all hail sad keanu’s return. 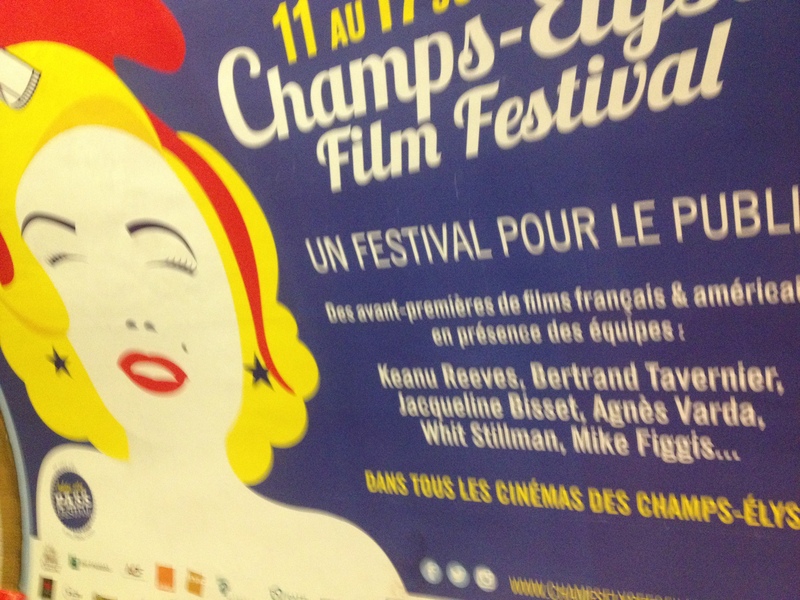 which is, as reeves said last year, “a drag.” always getting your picture taken when you’re eating a sandwich or drinking your drink and having that then become a cause for alarm. that you’re alone, eating/drinking. what is this cultural anxiety about eating alone? and how much more frightening would it be if these people looked gloriously happy whilst they ate? what would the daily mail say then?? 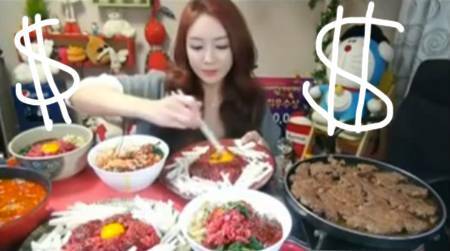 who’s apparently huge in south korea for streaming footage of herself eating. 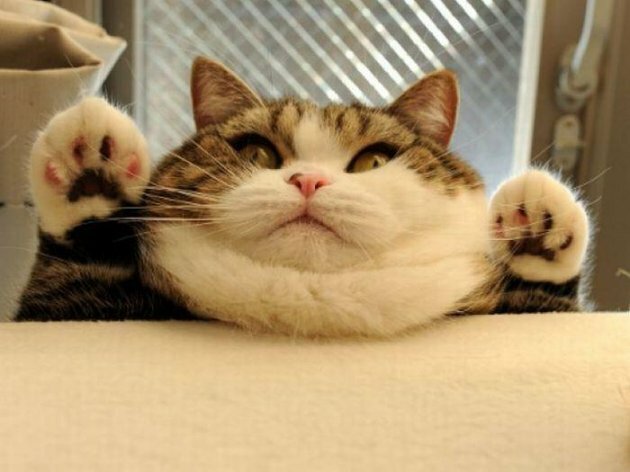 which is apparently a thing. 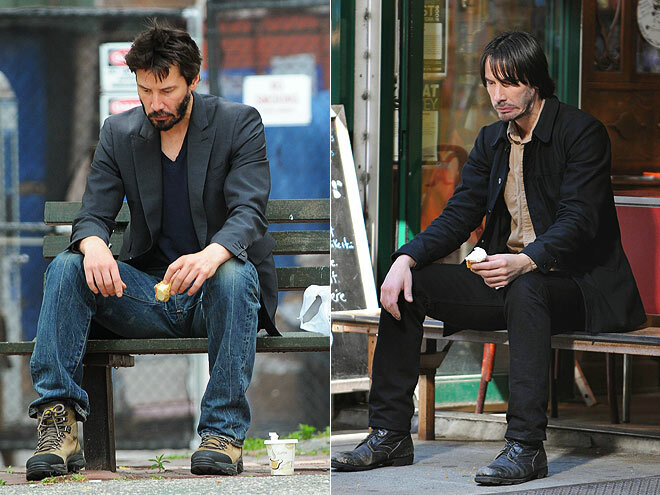 i’m fascinated by this portrayal of eating alone- in both the case of mac and keanu. because i honestly can’t think of a woman who’s being portrayed like this (which may simply be because female celebrities don’t eat, idk). how interesting that it is men and these two men in particular. interesting why? i’m honestly not sure. maybe because there’s the sense that they’ve both “fallen” in some respects- culkin as a “former child actor” and with the heroin rumors of a few years ago*, and reeves with… what? * and blurgh, i’m totally daily mailing here and bringing these up again! um… did i mention he once dated mila kunis?? did i??? the sad story from way way back about how his girlfriend miscarried and then, a year later, died in a motorcycle accident? the fact that he didn’t wind up with our national sweetheart sandy bullock? 1. i only just realized he is FORTY-NINE. vampire. 2. his discussion of grief here is worth a read. or at least perez hilton is. 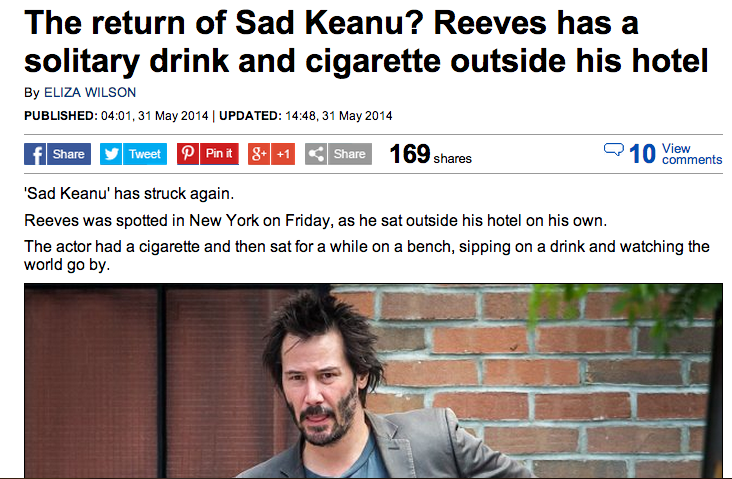 does this mean when we see sad keanu we link his sadness to her? 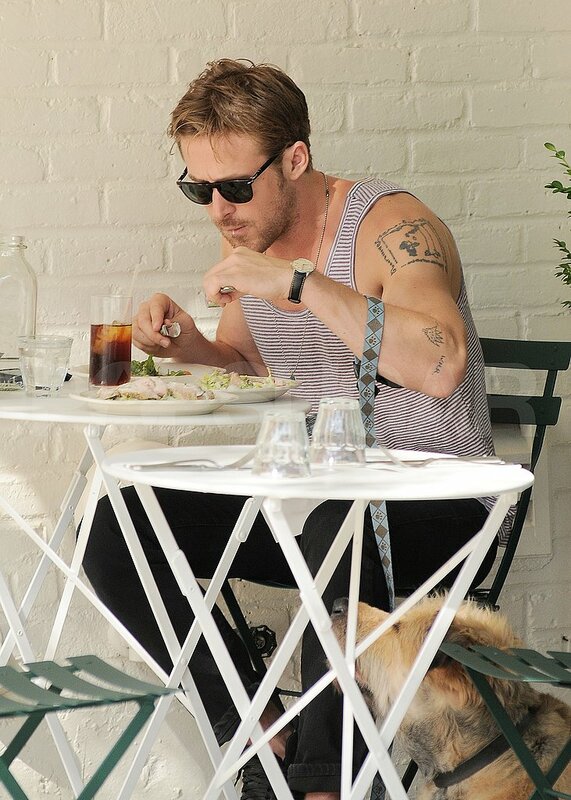 like how everyone who watched the notebook wants gosling and mcadams together? we’ve pavlovian responses to certain celebrities. 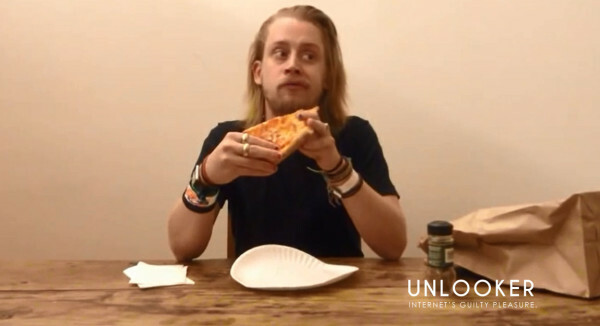 the daily mail‘s inclusion of that mila kunis paragraph at the end of every article on macaulay culkin is going to lead to one, mark my words. even if you just read my posts complaining about it, odds are you’re eventually going to make a link, however unconscious. the daily mail‘s probably just trying to make their word count, but the result is that the connection will gel for their readers. 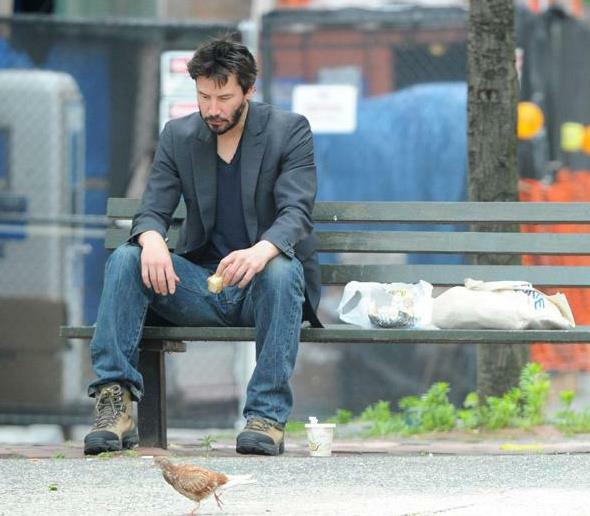 so that when mac eats at taco bell alone, it’s because mila’s not in his life and when keanu is alone and sad eating on a park bench, he’s sad because sandy’s not there. that isn’t an answer, i know. just an analysis and the suggestion that we maybe need to think more about what keanu means. why, you ask? 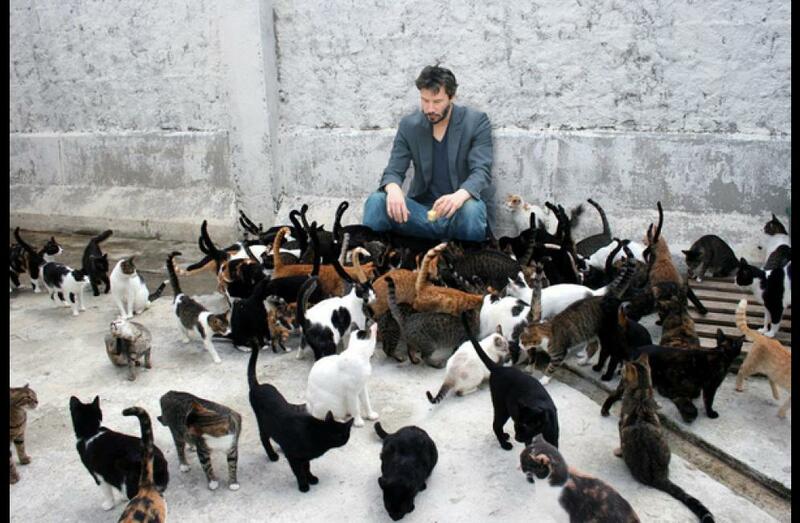 This entry was posted in "women", keanu. Bookmark the permalink.